Enjoy a hassle-free departure from Mumbai with this private Mumbai airport transfer. Meet your driver at your hotel lobby or given address, and relax on the journey to airport. These private vehicles can accommodate up to 4 passengers. 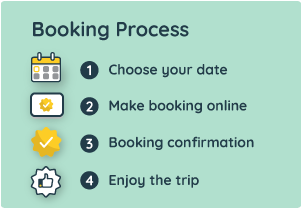 Simply enter your details when you book, pay in advance, and then show your voucher to your driver when you meet him. Pick-up only for Andheri, Dadar, Khar, Santra Cruz, Bandra, Borivali, Kandhivali, Jogeshwari, Malad, Thane, Lower Parel, Mulund and nearby areas.